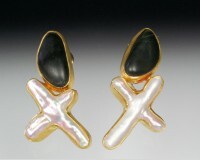 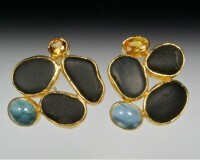 Set of four granite or basalt shirt studs. 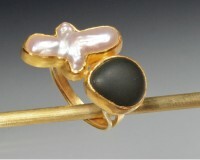 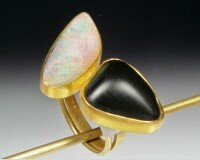 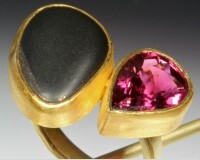 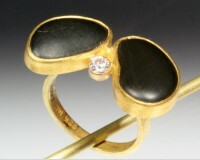 Each stone slightly different and set in 22 kt. 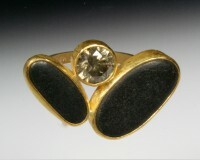 gold bezels with gold filled mechanisms.